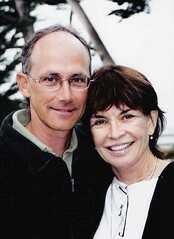 Mary and Steve at Esalen Institute. Mary and I lead a workshop each year at Esalen titled the Nature of Intimacy and the Intimacy of Nature. She is author of the book "Its Time."